Valentine’s Day is the time to express love and care. It is not all about lovers, as parents, friends and siblings also show affection to one and other on this special day. Making lovely cakes and delicious recipe is one of the important activities, but this day is not all about eating. If you want to give a gift to your kids, there is no need to spend a lot of money. You can make a few small lovely things on your own. Both boys and girl like little Valentine pins. 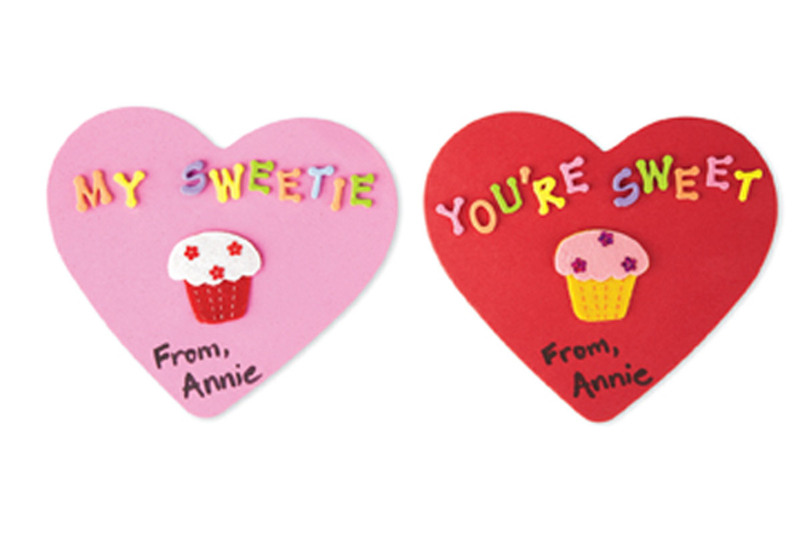 Making little Valentine pins can be a great classroom project for the kids. It is a very easy thing to do. Make some beautiful pins, and turn this day into a memorable one. Take foam of different colours, preferably blue and pink. If you want to make pink pins, take a huge piece of pink form, and draw a heart right in the middle of it. You can use white craft glue for this. If you face any problems in drawing little hearts on the foam, there is nothing to worry about. Foam hearts are easily available at all the craft supply stores, and they will not be very expensive. Now, it is the time to place colourful beads on the heart shaped foams. In order to sort out your breads, pins and buttons, you can always use an old fishing tackle box. Use glitter at this stage. Squeeze the pink glitter glue right into the middle of beaded heart. Let it dry for a few minutes. When working on blue heart, glue letters onto the front, spelling out ‘Be Mine’ or whatever you want. Choose the best message, but make sure it is not too long. On the border of the blue heart, pipe green glitter glue. Again let it dry for a few moments. After making sure that it is completely dry, glue a pink pin backs onto the back. Give it a few minutes to dry. It is imperative that you don’t take steps in a hurry. Giving the glue some time to dry is an extremely important part. Otherwise, it will become very difficult for you to continue your work.